I smiled at the irony of these two recent blog interviews. One talks about finding unexpected success and the other about romance in real life. Is it possible to have both? Read on and find out. 2 of my favorite writing tools. 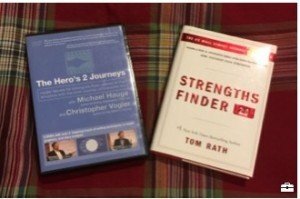 Strengths Finder and The Hero’s 2 Journeys.